Life insurance is something everyone needs but not everyone has. Few really know the kinks involved in finding the most affordable cover that actually covers what they need the policy to do without insurance firms adding clauses to block pay-outs. Shopping around is always your best option but you need to know what you’re looking for. To help with that, there are some common issues that crop up repeatedly for customers looking for affordable insurance cover. The most notorious of policy types are listed below to help you to steer clear of them. If you want super cheap life insurance, you’ll find this will be the cheapest type of policy. The reason being that it’s liable and likely to increase as your risk level increases. What starts off as a very low monthly premium can hike drastically in as little as a few years because your health situation has changed. Touch wood nothing happens, but if you get a quote on a reviewable policy for only a few pounds per month, later have a stroke or something we all hope never happens, that reviewable policy will be reviewed and your new premiums hiked. Just Fill In Our Quick & Simple Form To Get Great Quotes From Top UK Insurers! Types of insurance policies matter – A LOT! Joint cover is an option many couples opt for. Are they the best though? Truth is that they mostly aren’t, although they can be dependent upon individual circumstances. If you’re torn between a joint policy and a single life policy, go through an insurance broker or some type of intermediary to be certain you get independent and impartial advice. The prices between a joint and single life policy are not much different. The payout is however. Double to be exact, simply because it is two separate policies, although the amounts covered can differentiate based on the level of cover you take out. Here’s what you really ought to think about though. Joint life cover pays out on the death of one named person, leaving the beneficiary without life insurance. Therefore, if you’re under 50, paying a mortgage, and have a family, it’s likely a joint life cover will provide a sufficient amount to cover expenses of a funeral, debts and mortgages but once it’s gone it’s gone. In reality, you can consider a joint life insurance policy as financial protection in the event you lose your closest life partner. Once one person dies, the policy pays and the beneficiary has no further cover. Given the age of the beneficiary will be older, you can guarantee a new single life term cover policy will be more expensive later in life due to the higher risk factor. 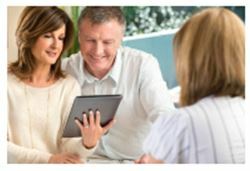 Therefore, it can be in your best interests to take out two separate life insurance policies as those will then pay out for both people, who’d otherwise only be paid once when a couple have joint life cover. When you consider that the premiums aren’t much different between single term and joint life insurance policies, you can understand why you’d be best to get impartial advice. You won’t be the first to have problems getting the right type of cover in place at an affordable price, due to existing medical conditions. When those are present, there’s usually a higher fee, or there’s a clause in your policy that prevents paying out on the death of a policy holder where the cause of death is linked to a pre-existing condition, such as a heart condition, neurological conditions, cancer etc. Where any medical condition is present, you can usually find a charity that specialises in that area. Cancer research is one example. The British Heart Foundation, Brain Research Trust and the Huntington’s Disease Association are others that offer support and assistance to people affected by the conditions they cover. Whilst not every charity organisation will have advice specific to insurance, they can be a good resource to call on as they will have other members who have been met with the same problems, with some charities having associations to insurance firms to provide a level of cover suitable for certain types of medical conditions. What you really need to know about is the Disability Discrimination Act, for which part of it includes the Equality Act. For insurance purposes, firms must take into account, the latest medical research therefore, if it’s found that you have a curable illness and statistics are low that your condition will lower your life expectancy, they cannot discriminate and charge you sky high premiums. What they will do is seek more information, which involve contacting your GP and other medical professionals you’re involved with to get the full picture of your health and quote appropriately. All insurers firms are required to do their due diligence and quote fairly when medical conditions are present. You have rights which is why you’re best to go to a charity for free impartial advice first, and then find a broker to assist in obtaining the right level of cover at the best price. To find out more about the Equality Act, see the brief guide from the Chartered Insurance Institute. The best way to find out about specialist insurance providers is to get in contact with charity organisations as they’ll be in the know about which companies help their members best. Whatever your medical condition is, search for it online along with the words ‘charity’ or “charity organisations’. Find the website and reach out to them using the contact details they provide. When you’re facing challenges finding affordable cover, don’t get dismayed at higher premiums because there are workarounds for most situations so you can get a good level of cover, suitable to your needs, without it costing a fortune. Seek the assistance of a broker or advisor and never even contemplate not disclosing certain conditions, or declaring you’re a non-smoker when you are. It’ll get you lower premiums, but your policy won’t be worth the price of the paper it’s printed on. When it’s discovered you’ve not disclosed critical information, policies will be void. Honesty always and if you’re faced with hiked premiums, get advice from an independent advisor who is actually impartial to any insurance company and products and they’ll be able to help you navigate your options.